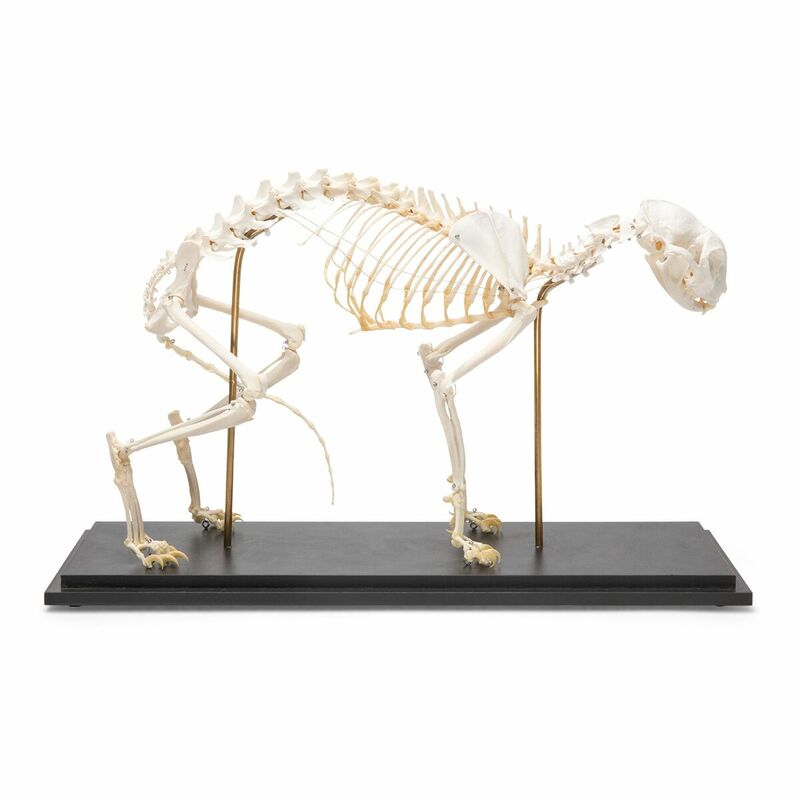 Prepared skeleton of a real domestic cat consisting of more than 230 bones (depending on the length of tail tail) mounted on a wooden base. You can choose between two variants. 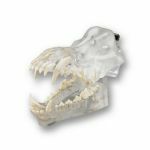 The bones of the rigidly mounted skeleton are firmly attached to each other for better stability. 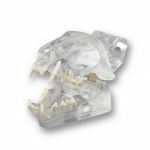 The ﬂexibly mounted skeleton is particularly suitable for learning and understanding the locomotory system of a cat. Showcase is sold separately: 1021343 (T300393)!